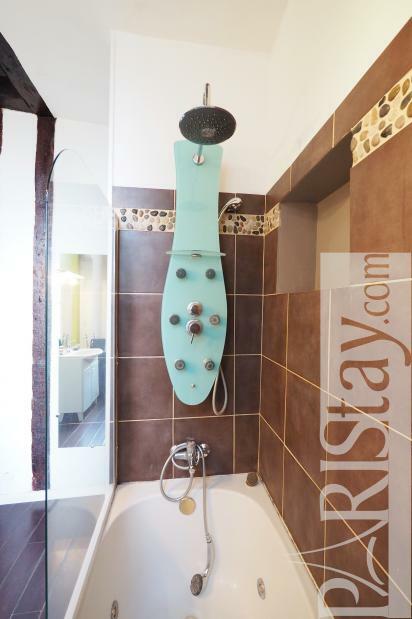 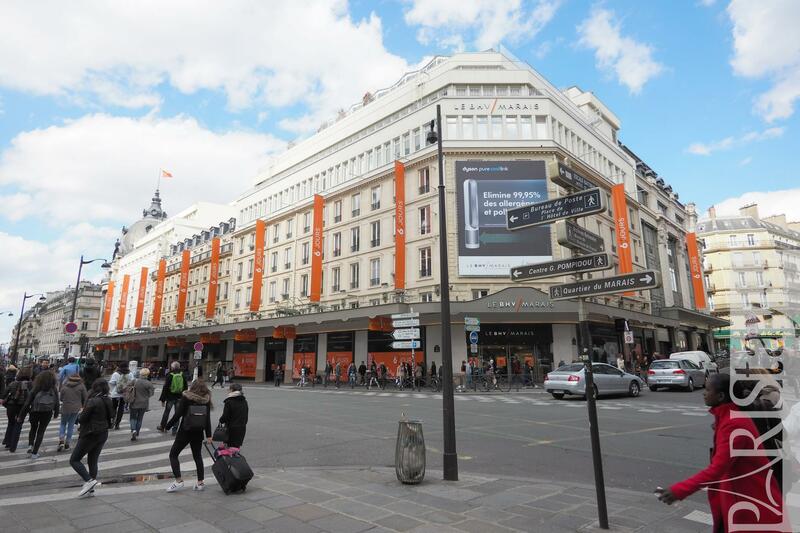 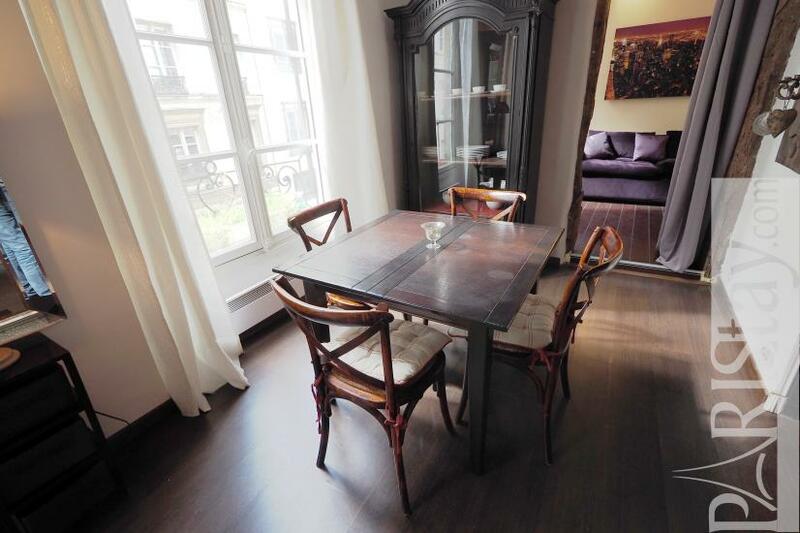 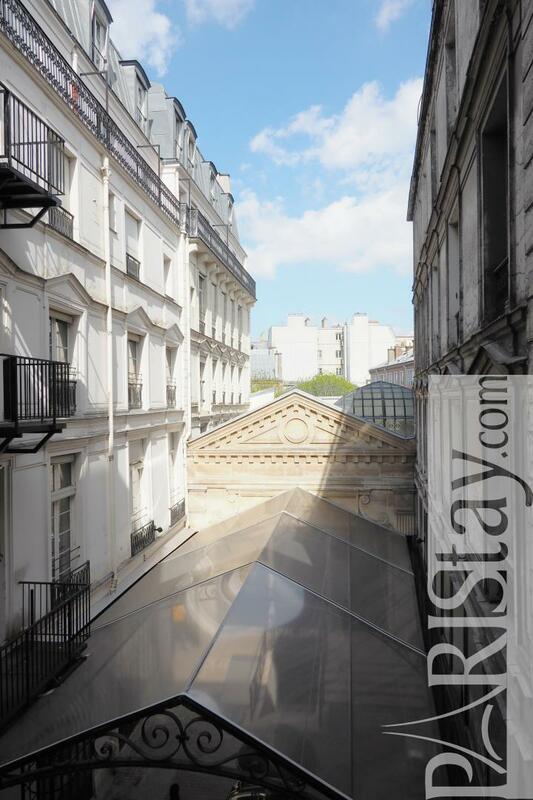 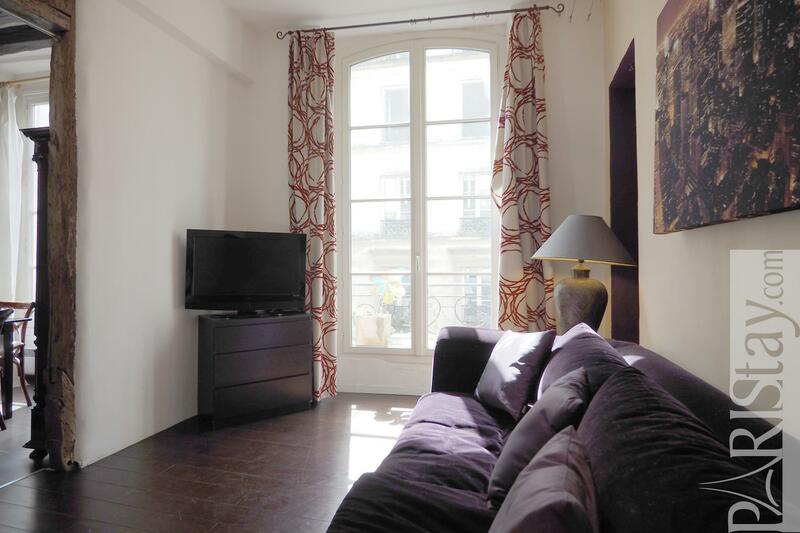 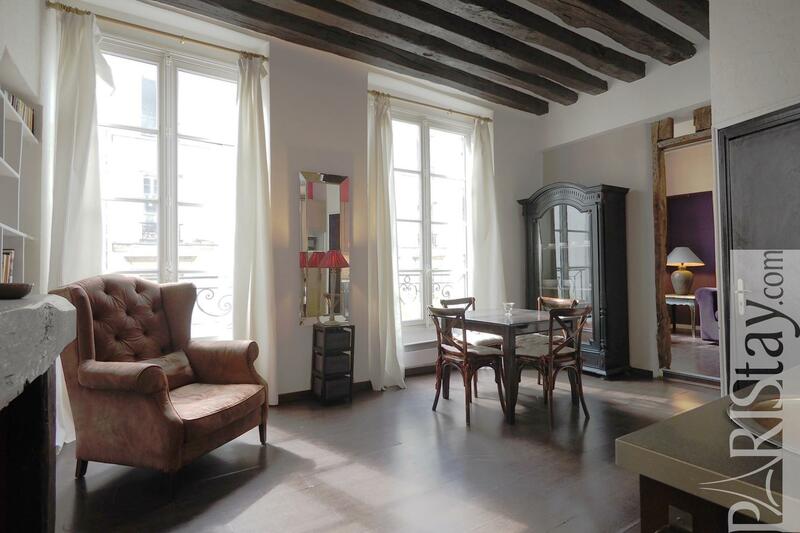 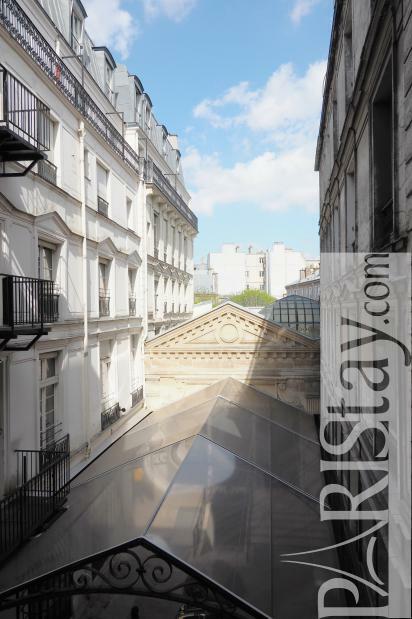 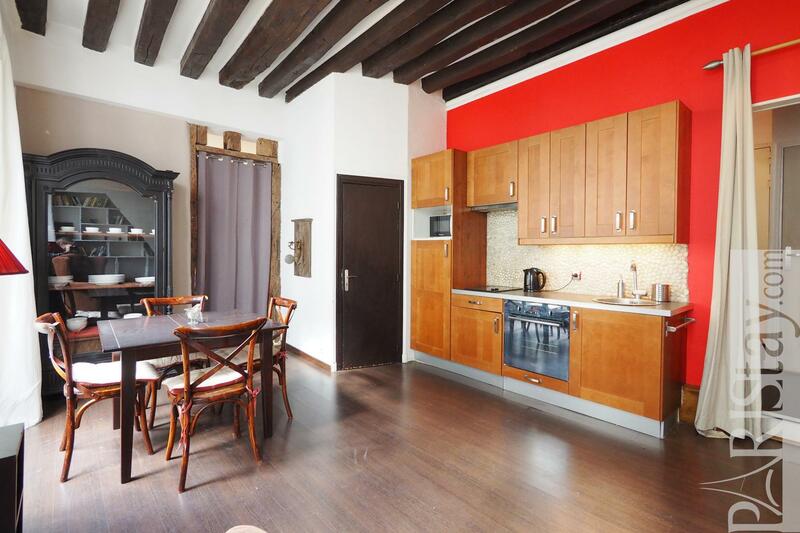 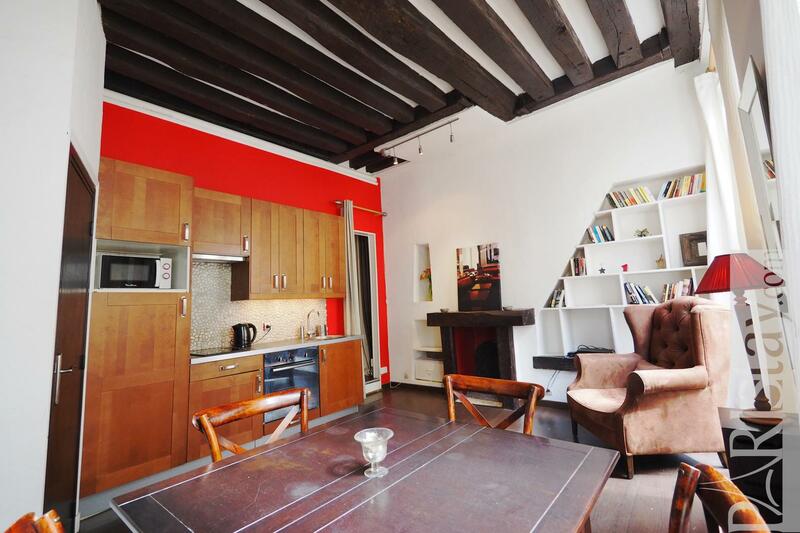 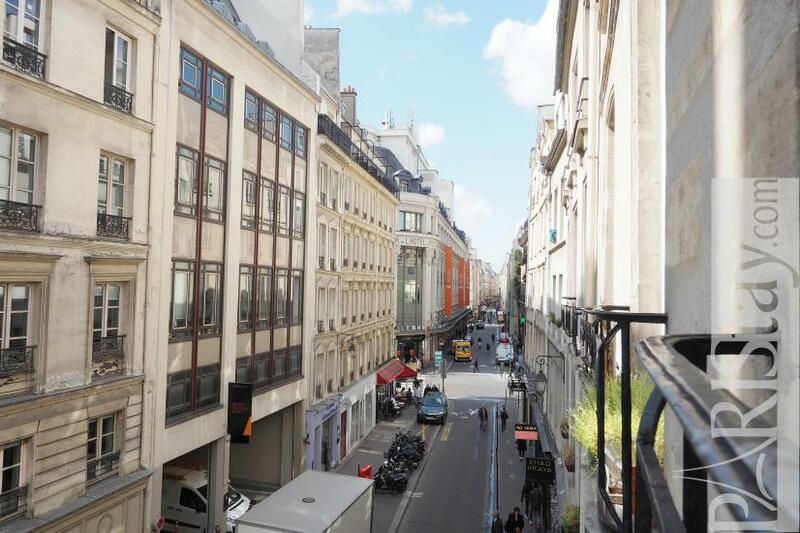 This Paris 2 bedroom apartment for rent is located in the beautiful Le Marais district, next to the City Hall and the Seine rive, Rue de la Verrerie, on the second floor (no lift) of a historic building. 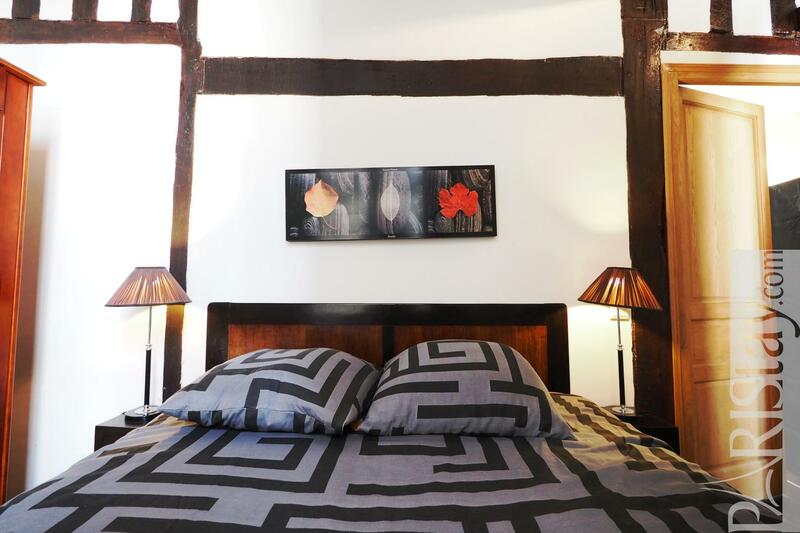 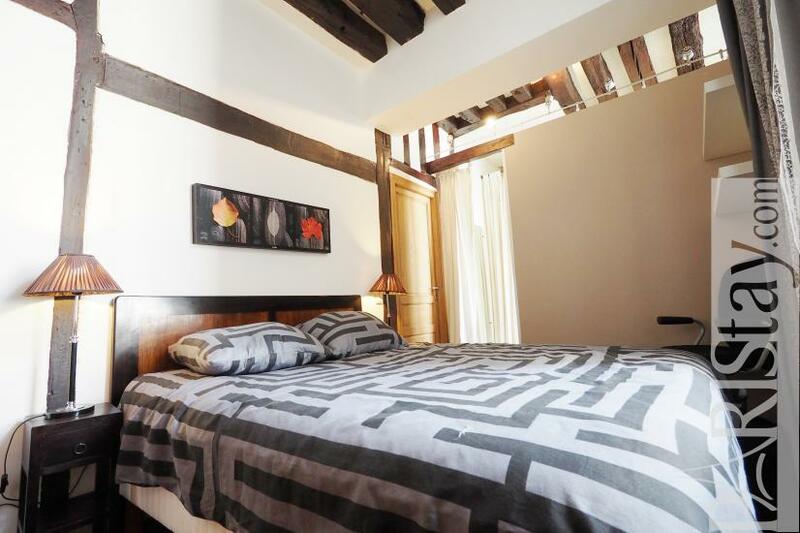 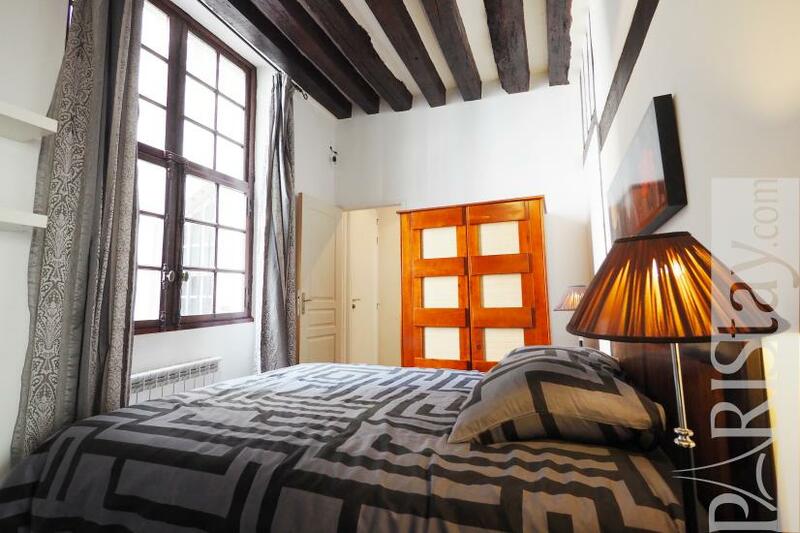 The flat offers spacious rooms with typical wooden beams and large windows. 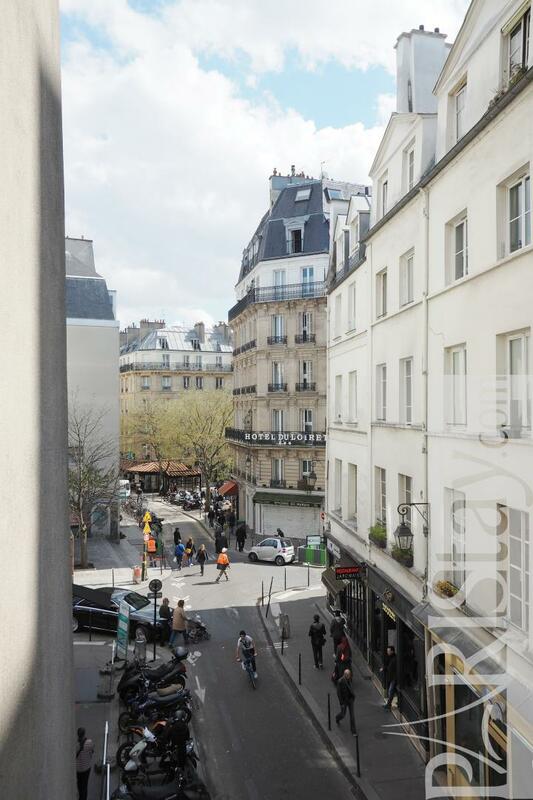 It is bright and sunny. 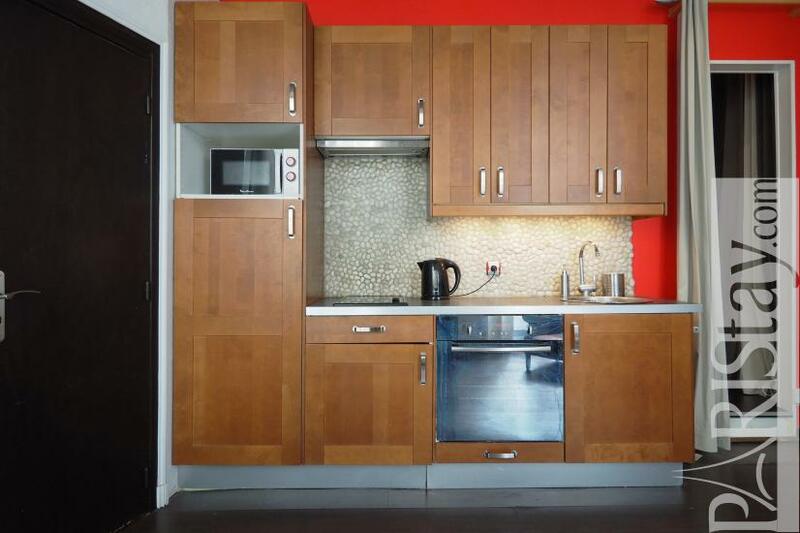 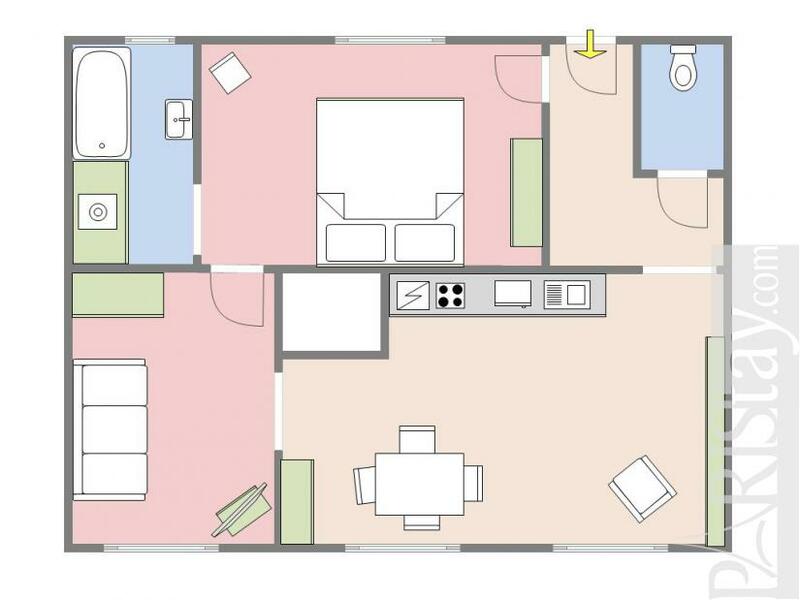 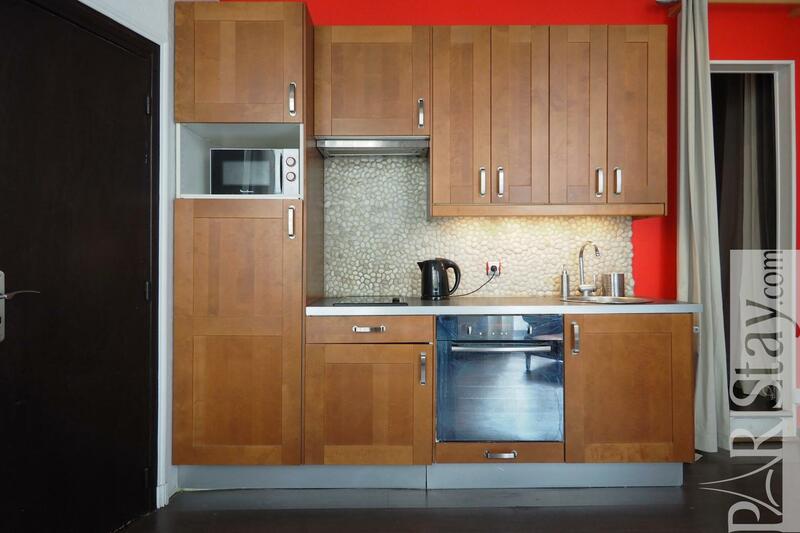 There is spacious living room with an equipped kitchen corner. 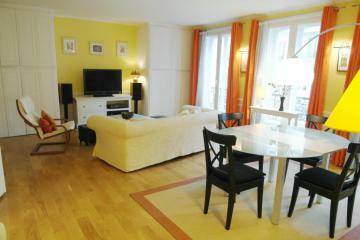 PLEASE NOTE/THERE'S 50EURO OF CHECK IN AND 50 EURO OF CHECK OUT FEES TOTAL 100 EUROS EN TOP OF THE RENT DUE ARRIVAL. 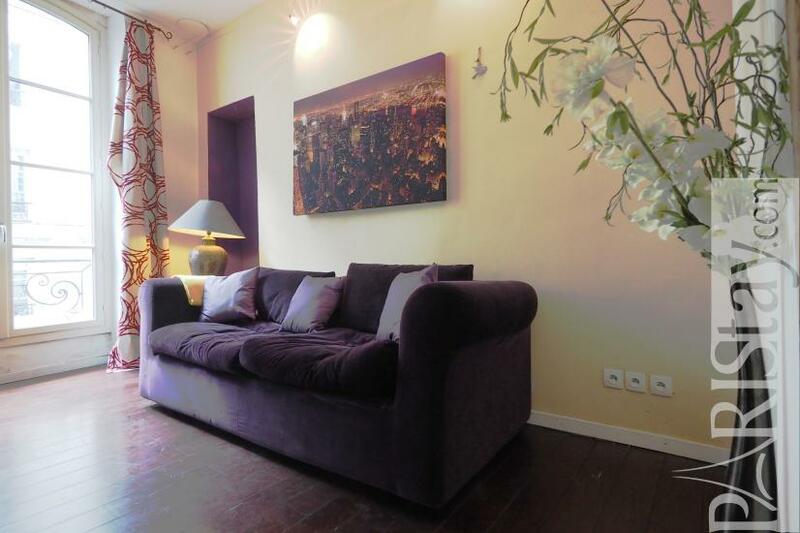 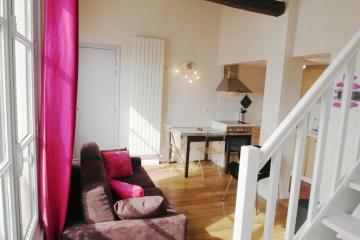 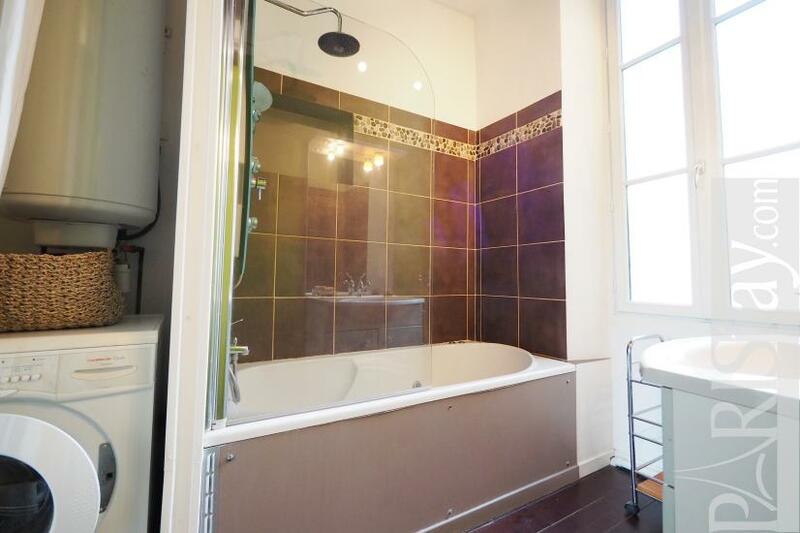 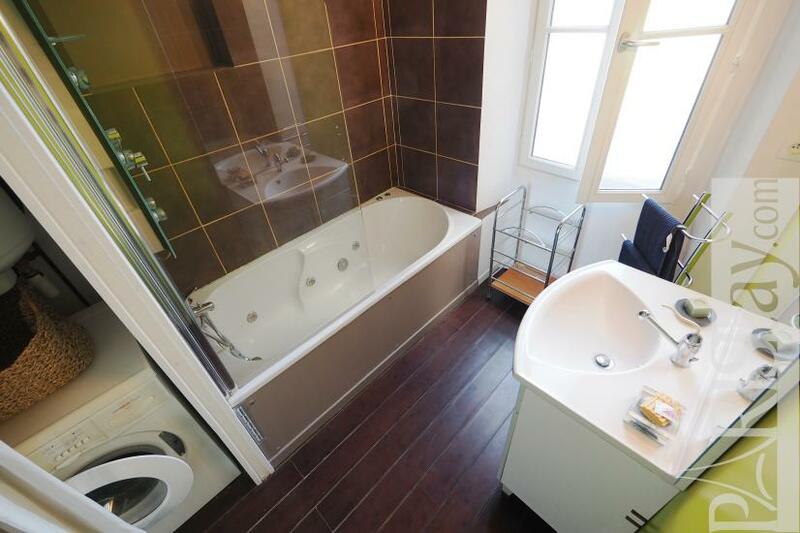 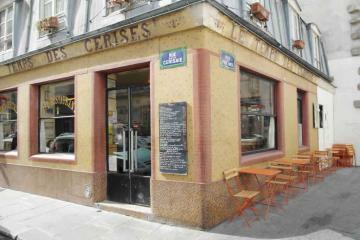 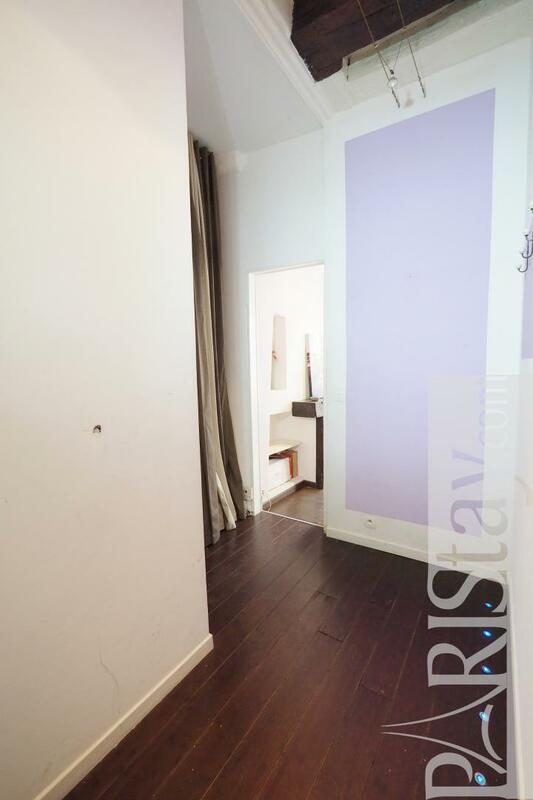 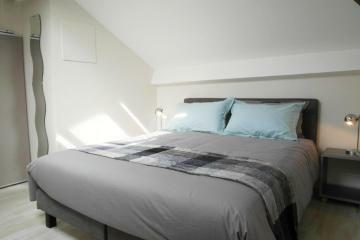 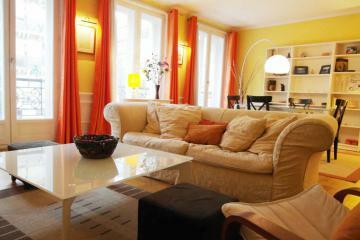 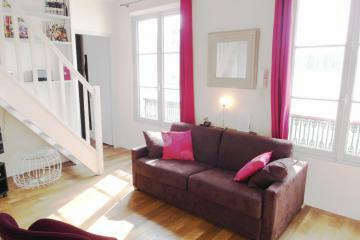 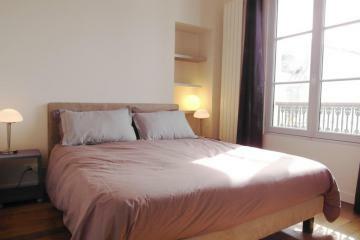 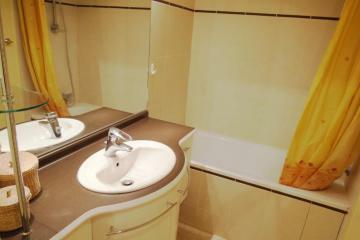 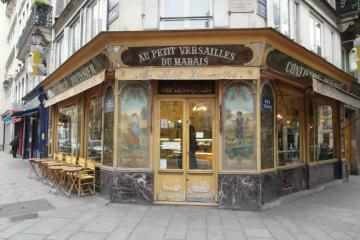 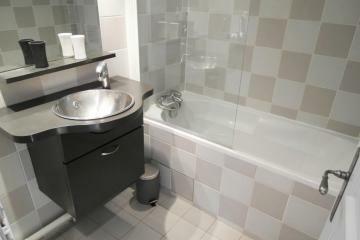 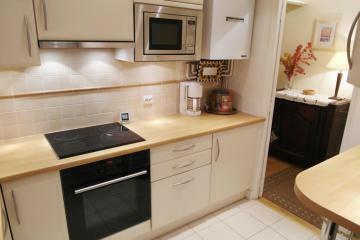 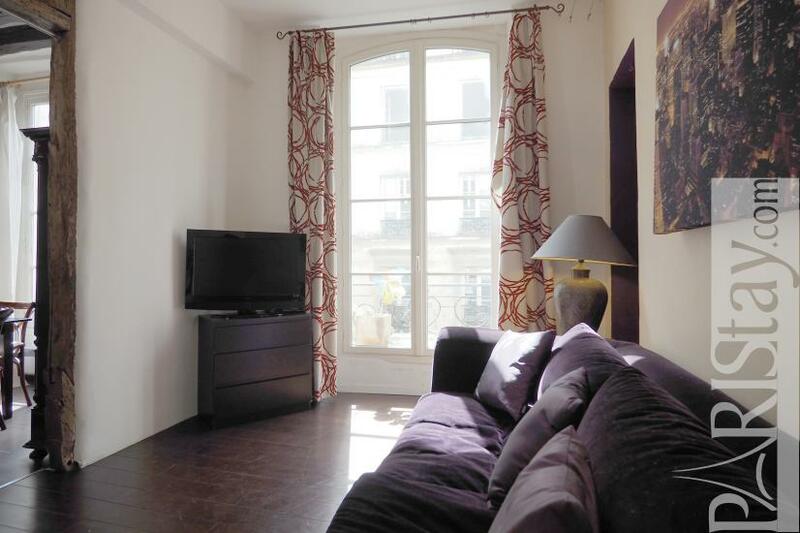 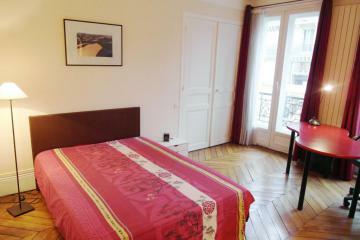 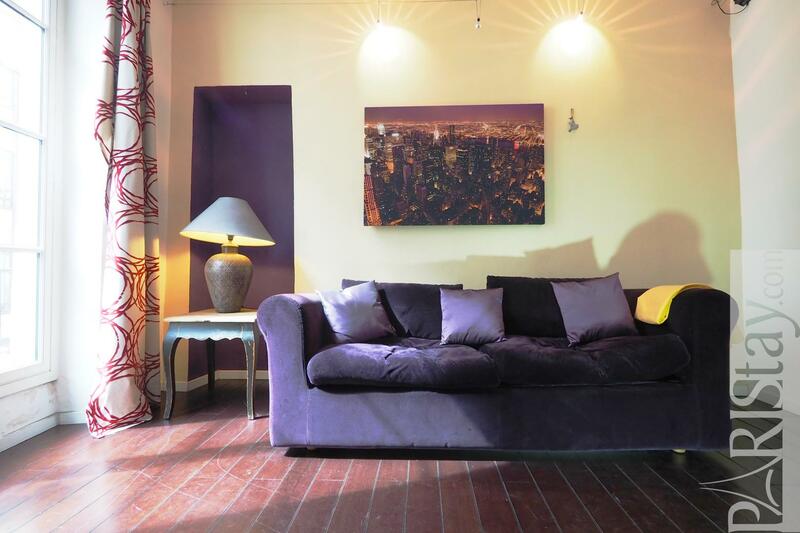 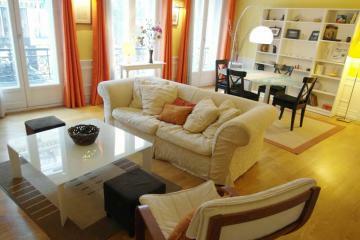 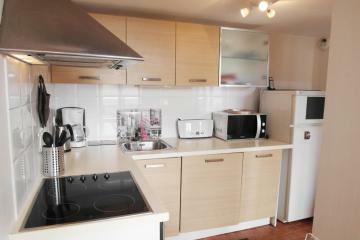 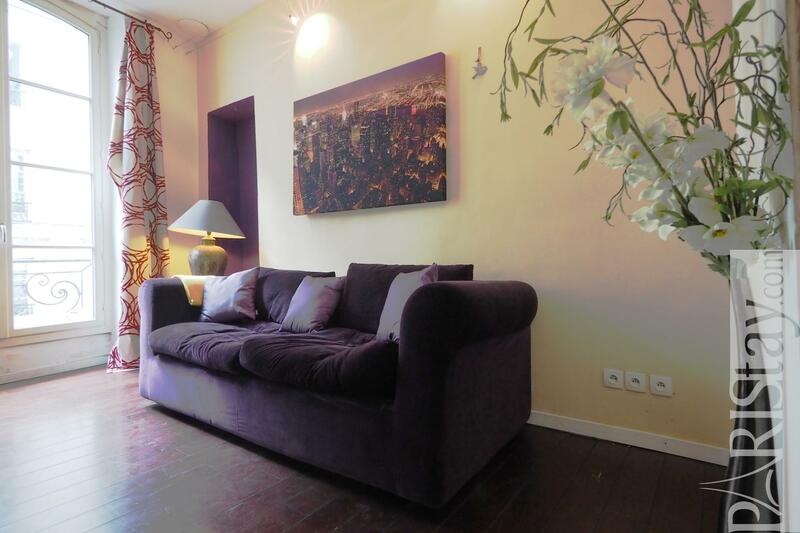 2 nd floor, without Lift, 2 bedrooms Appartement, furnished, Approx: 55m² / 591 Sq.Ft.